If you have a Chase credit card, or you’re considering one, you’ve probably heard of the Chase Ultimate Rewards program. It’s been a big hit, with the Chase Sapphire Reserve credit card drawing so many applications upon its launch that Chase ran out of physical cards. Several credit cards belong to the program (more on those later). No matter which one you have, the program remains the same, and all cards earn points as you spend that can be redeemed for valuable rewards. Chase Ultimate Rewards members can use certain spending and redeeming tricks to boost their rewards. Here’s how to get the most out of your Chase Ultimate Rewards program. Most of the cards in the Chase Ultimate Rewards roster award sign-up bonuses to cardholders who spend a certain amount in a limited time frame. For example, the Chase Sapphire Preferred card will earn 60,000 bonus points if you spend $4,000 in the first three months. Earning that bonus is easy if you can easily meet the spending requirement in the allotted time frame without ballooning your card balance. But many consumers might find it difficult to meet the spending threshold and stay on budget; in that case, they may want to wait for the right spending opportunity (an expensive car repair, holiday shopping season) to sign up for the card. However, if the spending requirement will cause you to rack up too much credit card debt, you should forgo the sign-up bonus altogether. If you know someone you can trust as an authorized user, adding them to your card can help you earn rewards faster, as their purchases will also earn points. Plus, you may be able to earn a bonus – right now, the Chase Sapphire Preferred card will award 5,000 bonus points when you add an authorized user and make your first purchase in the first three months. Of course, you should only add an authorized user if you know they’re 100% trustworthy. If you frequently shop online and you don’t use Shop through Chase, you could be leaving a lot of rewards on the table. Shop through Chase is an online platform that lets you earn bonus points at more than 200 popular retailers. Participating stores can earn you as much as 20 extra points on the dollar (typical rates range from one to ten bonus points per dollar spent). Anytime you’re about to make an online purchase, you should login to Chase Ultimate Rewards and check the Shop through Chase merchants. Your store might be featured (or you might be able to find the same product elsewhere). You can redeem your points for many things, including travel, cash back, or gift cards. But most cards reserve the greatest value for travel redemptions booked directly through the Chase Ultimate Rewards portal, which allows you to book airfare, hotels, and more. For example, the Chase Sapphire Reserve card offers an additional 50% bonus when you book your travel through Chase. In this example, 50,000 points would be worth $500 in cash back or $750 in Chase Ultimate Rewards travel redemptions. There are limitations – not every airline or hotel is offered through Chase’s platform – but with an extra 25% to 50% in redemption value, it’s worth checking when you’re planning a trip. 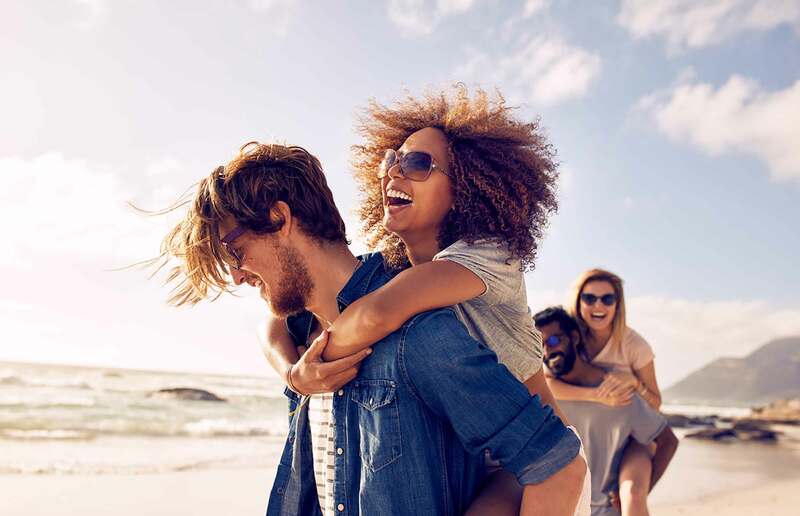 Each of these partners has its own sweet spot – including discount flights and a potentially greater cash value per point. Depending on your partners of choice, you may be able to get more for your points by transferring them instead of redeeming through Chase Ultimate Rewards. If you have a Chase cash back card such as Chase Freedom, you aren’t restricted to redeeming your rewards for cash back. Instead, you can redeem with Chase Ultimate Rewards for travel, gift cards, and more. You can also redeem points earned from your travel-focused cards for cash back, but you could be losing value that way. Points used for cash back redemptions have a flat value of $0.01, while points used for Chase Ultimate Rewards travel redemptions or transferred to partners can get you more bang for your buck. When you sign up for Chase Sapphire Preferred, you can get 60,000 bonus points if you spend $4,000 in the first three months. You’ll also receive 5,000 bonus points when you add an authorized user and make a purchase in three months. Travel and dining purchases earn two points on the dollar, with all other purchases earning one point per dollar. There’s an annual fee of $95. Points redeemed for travel through Chase Ultimate Rewards are worth an extra 25%. Chase’s premium travel card, the Chase Sapphire Reserve awards you 50,000 points if you spend $4,000 in the first three months. Travel and dining purchases earn three points on the dollar, and all other purchases earn one point per dollar. You will receive $400 in annual travel credits, good for everything from airfare to cab rides to baggage fees. You’ll also get a $100 application fee credit for Global Entry or TSA PreCheck, and access to over 1,000 airport lounges with Priority Pass Select. All these benefits come at a price, though – there’s a $450 annual fee. Points redeemed for travel through Chase Ultimate Rewards are worth an extra 50%. This business card awards 80,000 bonus points if you spend $5,000 in the first three months. You will then earn three points per dollar on the first $150,000 spent each calendar year on travel, shipping, internet, cable and phone services, and any online advertising done on social media and search engines. All other purchases earn one point per dollar. Points redeemed for travel through Chase Ultimate Rewards are worth an extra 25%. While Chase Freedom Unlimited is marketed as a cash back card, the reality is your rewards are earned as points, which can also be redeemed through the Chase Ultimate Rewards platform. The value of the points is simply equivalent to the cash back you’ve earned. You’ll receive a $150 bonus if you spend $500 in the first three months. You also get a $25 bonus if you add an authorized user and make a purchase in the same three-month period. All purchases earn 1.5% cash back. There is no annual fee. When you sign up, you’ll earn $150 bonus cash back if you spend $500 in the first three months. The Chase Freedom card earns 5% cash back on up to $1,500 in rotating spending categories each quarter. Currently, the 5% spending category is gas stations, internet, cable, and phone services, and mobile wallet purchases. All other purchases earn 1% cash back. There is no annual fee. If you want to make sure you have good credit, you can check your three credit reports for free once a year. To track your credit more regularly, Credit.com’s free Credit Report Card is an easy-to-understand breakdown of your credit report information that uses letter grades—plus you get two free credit scores updated every 14 days. At publishing time, the Chase Sapphire Preferred, Chase Freedom, and Chase Freedom Unlimited credit cards are offered through Credit.com product pages, and Credit.com is compensated if our users apply and ultimately sign up for this card. However, this relationship does not result in any preferential editorial treatment. This content is not provided by the card issuer(s). Any opinions expressed are those of Credit.com alone, and have not been reviewed, approved or otherwise endorsed by the issuer(s). Sean Bryant is a Denver-based freelance writer specializing in travel, credit cards and personal finance. With nearly 10 years of writing experience, his work has appeared in many of the industries' top publications. He holds a Bachelor of Arts degree in economics.